Last month, MGMA released the results of a poll that asked healthcare organizations from around the country if they have adjusted their physician compensation plans within the past two years. We were surprised to learn that 46% of organizations responded with “no”. While we know it’s not practical to completely redesign compensation year-over-year, it is important to benchmark compensation plans annually against similar practice sizes and specialties in the industry to ensure adequate reimbursement levels. High stakes can be in play for healthcare organizations when it comes to navigating the intricacies of reimbursement. Below are three reasons reviewing your physician compensation plans frequently is critical. Competing in the marketplace. With fierce competition in many areas for physicians, it is essential for healthcare organizations to stay abreast of competitive numbers. Paying competitively not only helps you attract high quality candidates, but it can also help to reduce turnover among your existing workforce. Attracting top talent is a lot easier if you retain top talent who are willing to promote the positives of working for your organization. And, if you retain your top physicians you will ultimately save money when it comes to your recruitment budget. Complying with regulatory guidelines. Last year, significant changes to the Stark Law—a limitation on certain physician referrals—were announced. As such, hospitals must ensure that the total value of their compensation packages meets the Stark Law requirement to be commercially reasonable and consistent with fair market value. Compensation outside of these guidelines can be viewed as an attempt to “buy” referrals. 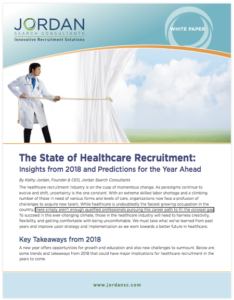 This points to the critical importance of engaging an outside valuation expert who is well-versed in the healthcare industry and has significant experience with physician compensation arrangements to make sure that they comply with regulatory guidelines. Accommodating value-based models. Healthcare reimbursement is moving slowly but inevitably from paying for volume to rewarding value. In fact, it is estimated that 50 percent of physician compensation will be value-based in the next 10 years. It is imperative that healthcare organizations frequently evaluate current compensation models, with an eye toward integrating value-based incentives into the plan. When reimbursement is tied to the achievement of quality-related goals—from patient satisfaction scores to specific measures of quality and efficiency—the need to consistently evaluate and adjust compensation plans is amplified. Physician compensation arrangements can be arrayed along a compensation plan continuum ranging from individualistic models to team-oriented models, with a vast middle ground in between. But regardless of which type of plan best meets the needs of your organization, healthcare leaders must maintain competitive compensation without threatening their organizations’ bottom lines. In order to recruit the best, retain the best, maintain compliance, and focus on the future of value-based industry compensation, frequent evaluations of physician compensation structures are necessary.